Using a software based iSCSI solution, there is no requirement to purchase an hardware iSCSI initiator or TOE (TCP/IP Offload Engine) interface card. A standard network interface card, can be used to connect and existing ESXi server to a remote iSCSI target or iSCSI SAN on the TCP/IP storage network. 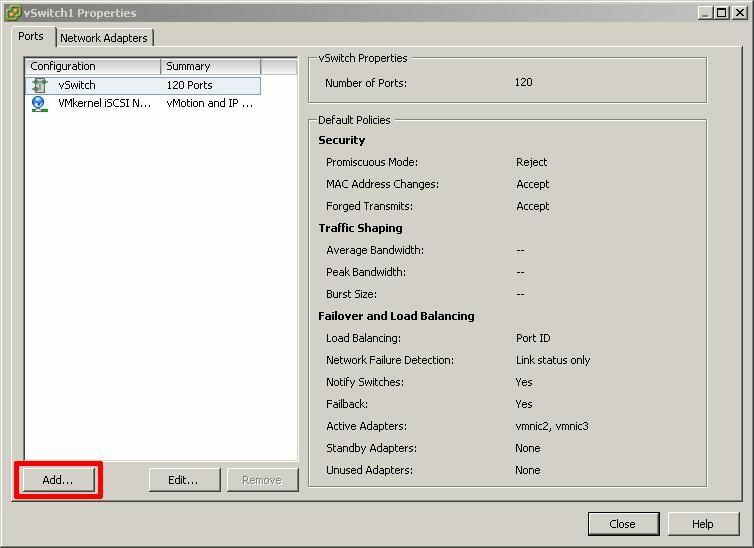 The iSCSI Software Adapter built into the VMKenerl interface, completes the communication between the network interface card and the host server network stack. 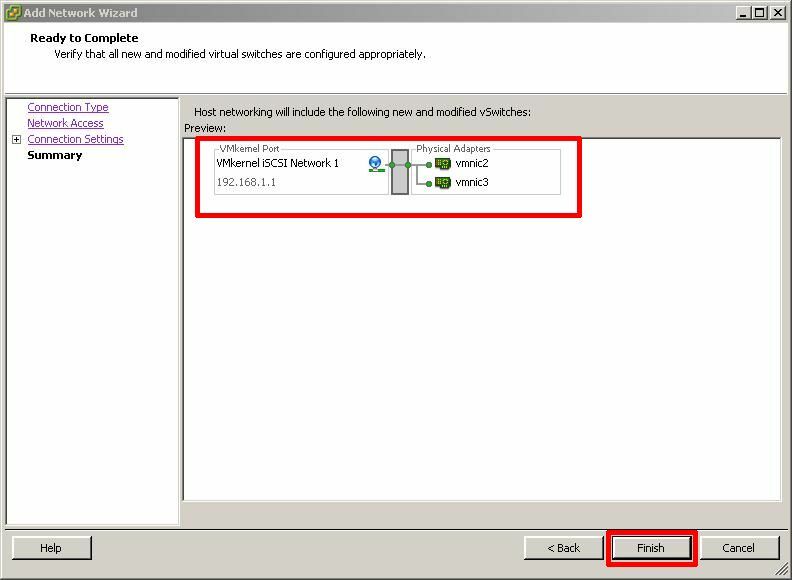 This tutorial can be used to add an iSCSI Software Adapter and create an iSCSI Multipath Network in VMware vSphere Hypervisor ESXi 4.1. 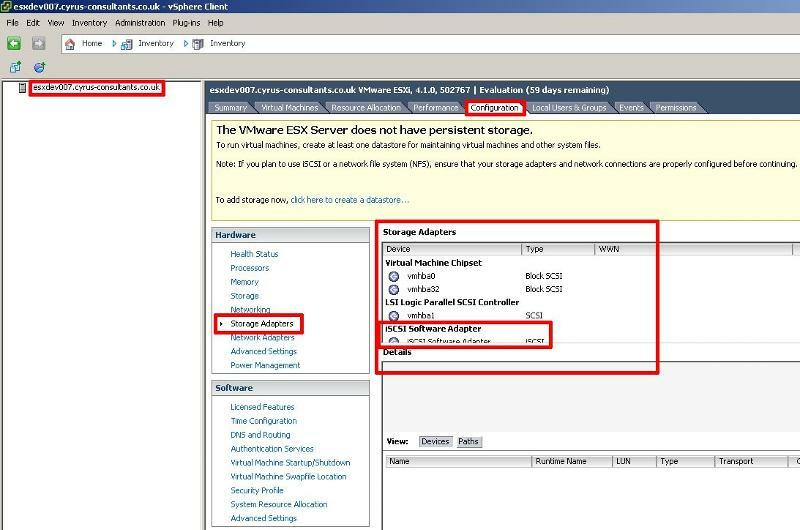 Using the VMware vSphere Client, login and connect to the ESXi 4.1 server, using IP address or hostname of the ESXi 4.1 server, using root username and password credentials. 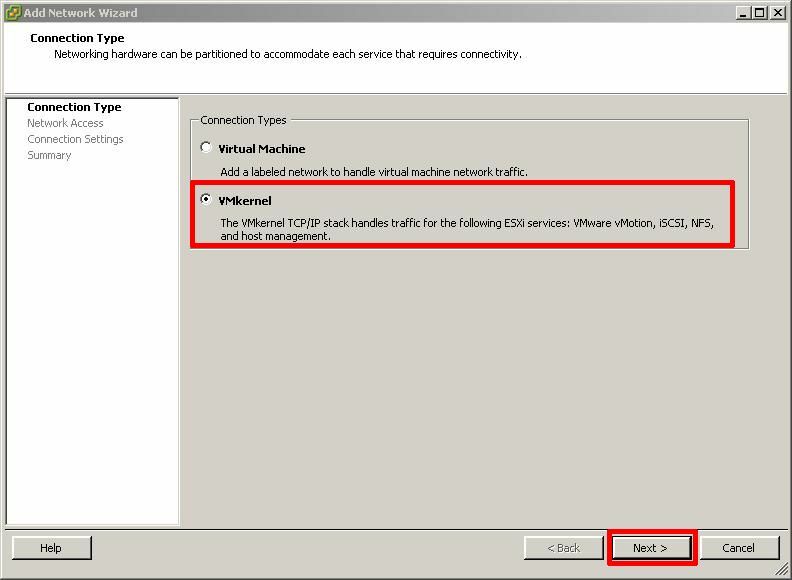 If you have a VMware vSphere vCenter server, you could also specify IP address or hostname of the vCenter server which manages your vSphere 4 ESXi 4.1 server. 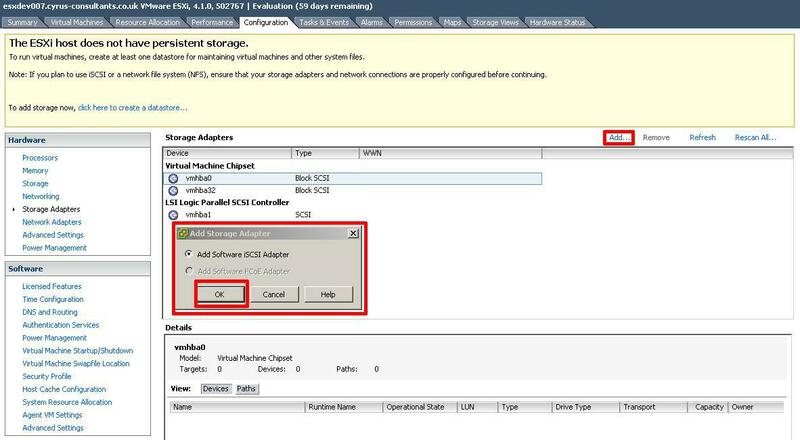 When connected to the ESXi server, select the Host Server, Configuration tab, and select Storage Adapters. Please note, if you do not have any persistent storage connected to the ESXi server, a yellow warning configuration box will appear. This example server used in this tutorial does not have any local SAS or SATA storage connected. 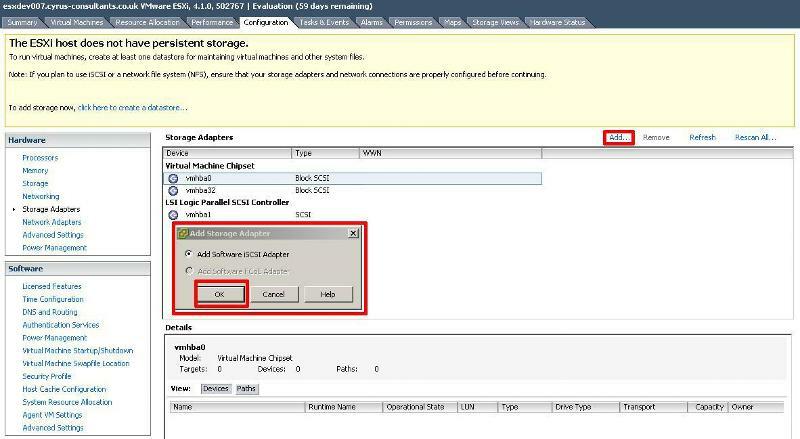 Once the iSCSI Software Adapter has been added, iSCSI storage can be added, and this yellow warning configuration box will disappear. 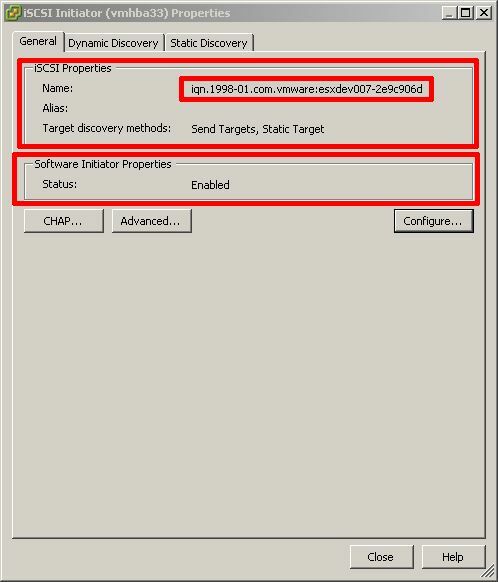 the procedure for adding and configuring the iSCSI Software Adapter is slightly different, depending upon which version of the vSphere Client (version 4.1.0 or version 5.0.0) you have installed, if the iSCSI Software Adapter is not visible as shown in the following screenshot, it's likely you have connected using the vSphere Client version 5.0.0. Skip Step 3 and proceed to Step 4. The iSCSI Initiator (iSCSI Software Adapter) Properties dialogue page will appear. Please note the status of the current Software Initiator is Disabled. 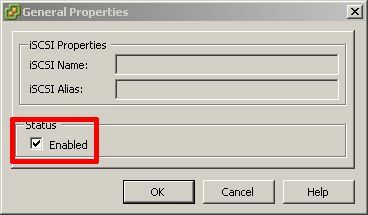 The General Properties diaglogue box, will appear, select, click and ensure a Tick is present next to Enabled, to Enable the iSCSI Software Adapter and Click OK. The iSCSI Initiator (vmba33) Properties will appear. 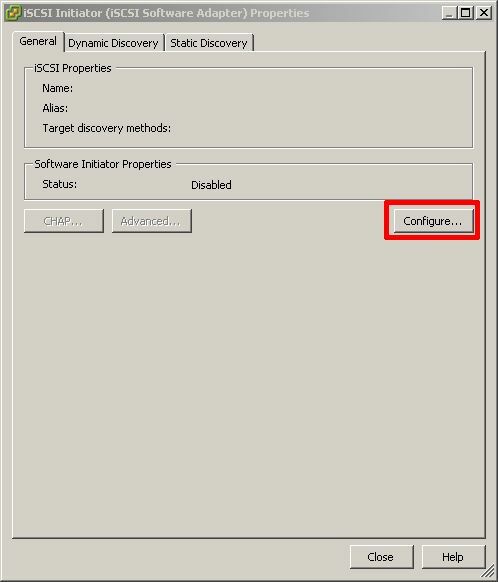 Note that Software Initiator Properties should have changed to Enabled, and the iSCSI Properties Name is populated with an iSCSI Initiator Name. 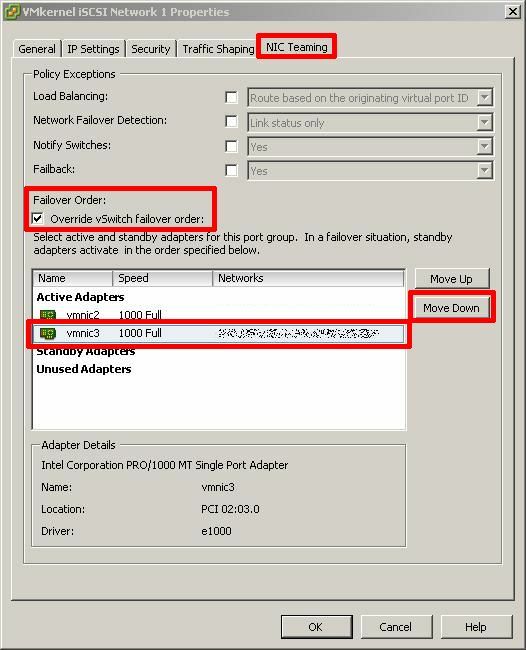 The iSCSI initiator adapter name is vmba33. 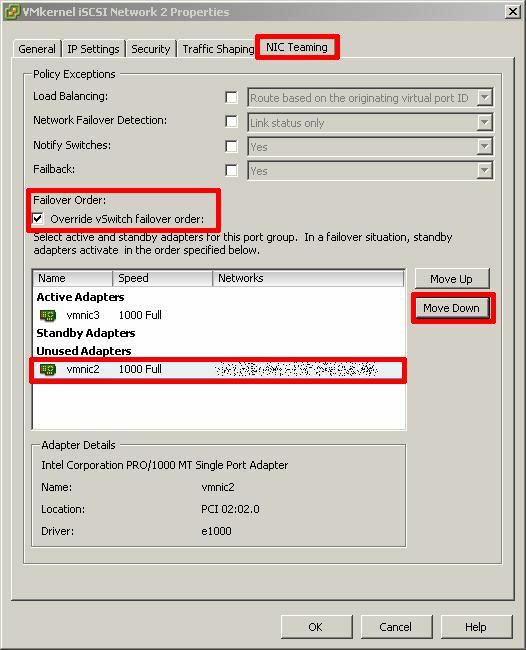 Please record both the iSCSI Initiator Name and the adapter name, these will be important for you in the future, it will be needed when you assign storage to this initiator. 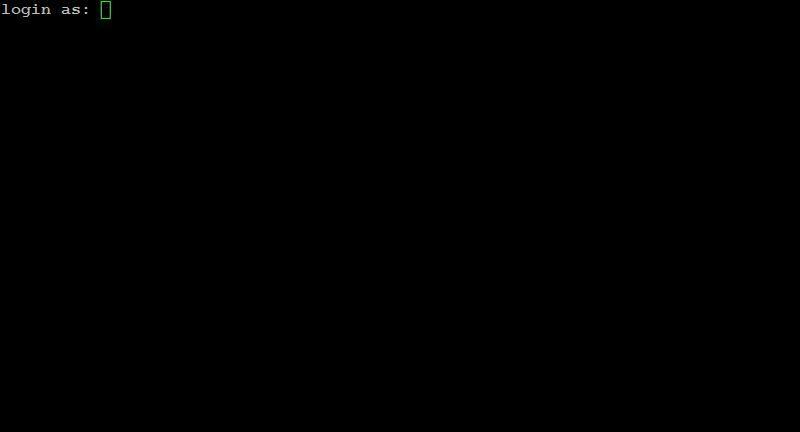 The adapter name is required later in this procedure to complete VMKernel bindings. Click Close to proceed. Skip Step 4, and Proceed to Step 5. 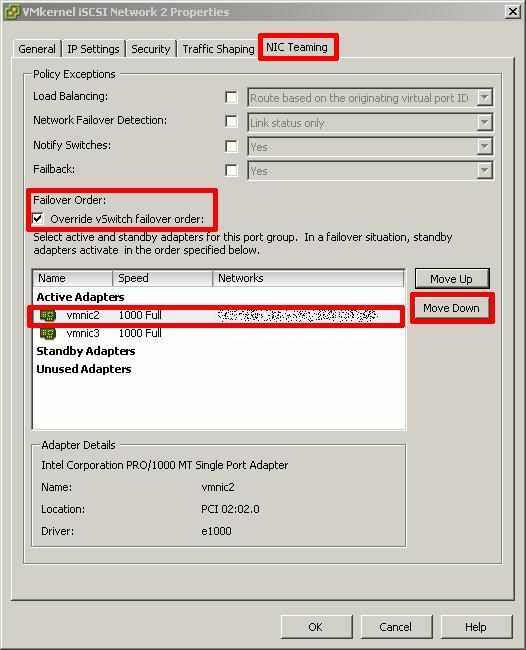 Select Add Software iSCSI Adapter and Click OK. The following prompt will be displayed. Click Close to proceed. . 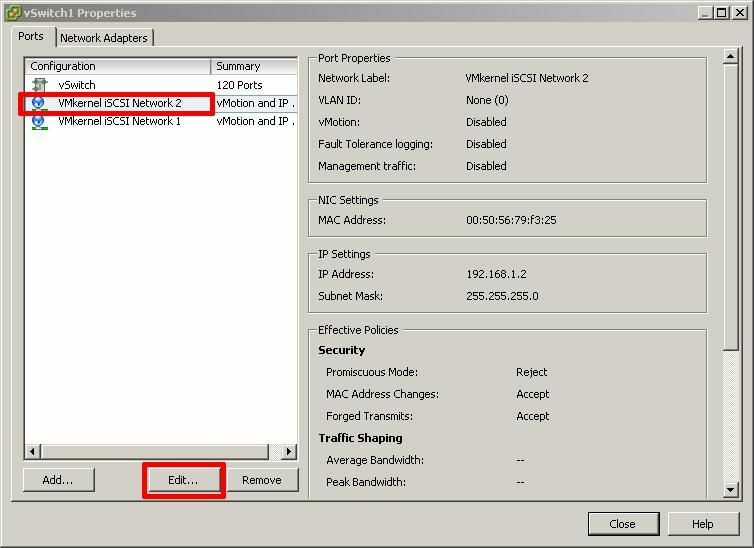 The VMKernel TCP/IP stack Portgroup handles traffic for the following ESXi services iSCSI, NFS, VMware vMotion and host management. 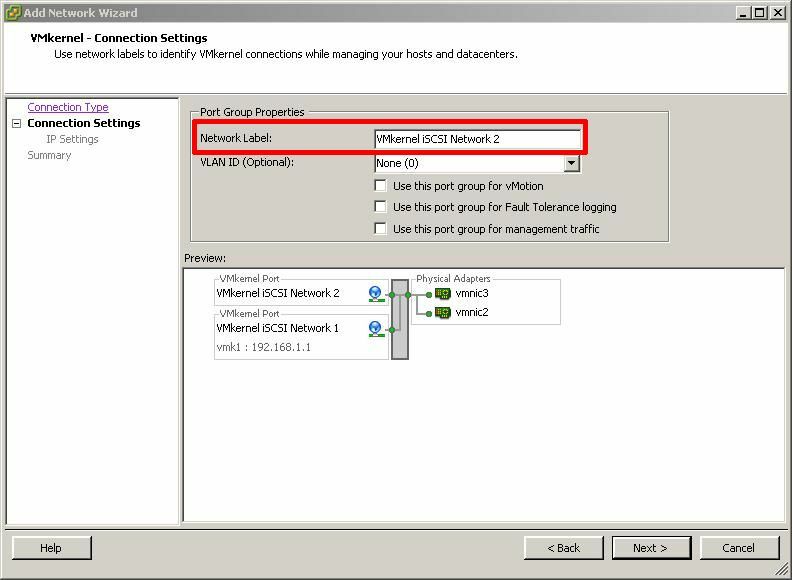 To create a multipath iSCSI network at least two VMKernel TCP/IP stack Portgroups needed to be created on a virtual switch. Select the Host Server, Configuration tab, and select Networking. 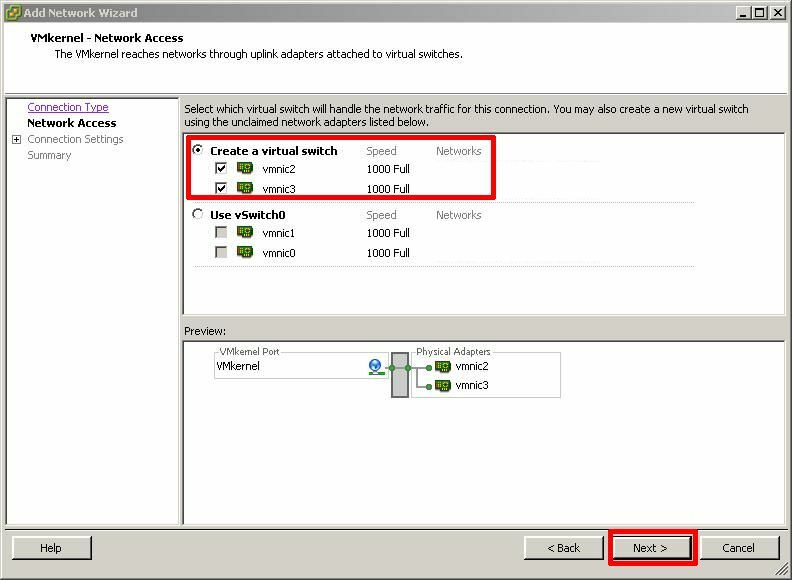 Create a new virtual switch with at least two physical network interfaces connections for use with multipath. I've selected vmnic2 and vmnic3, followed by Next. 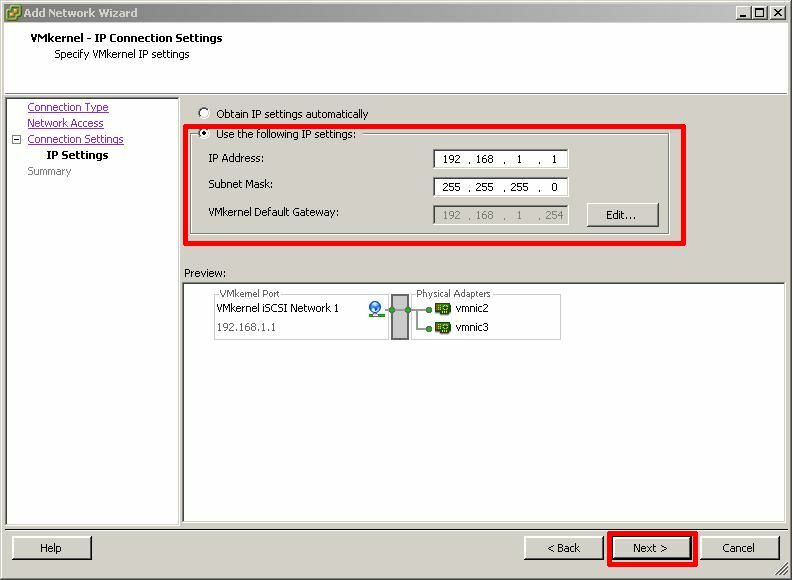 Review the vSwitch configuration is correct and click Finish and Close. The two VMkernel portgroups have been added, and the vSwitch configuration is almost complete. 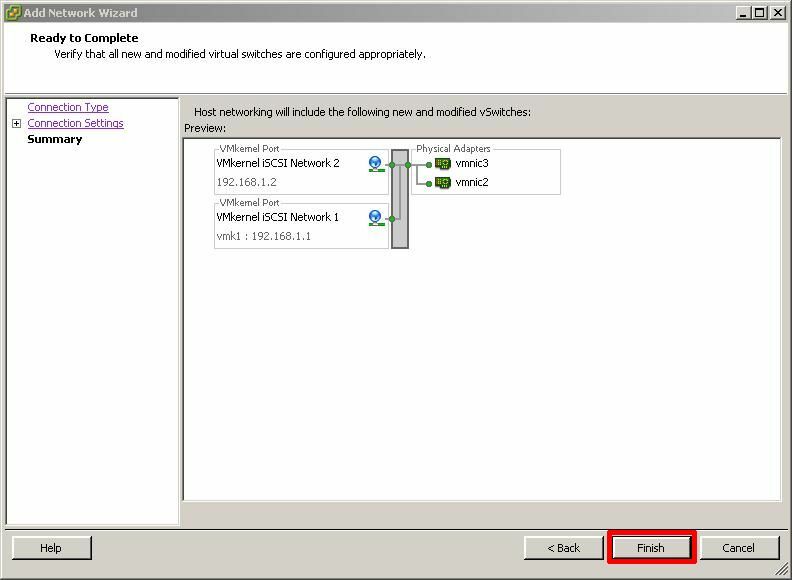 Select Properties of the vSwitch created in Step 5. The final and remaining step is to bind these with the software iSCSI iniatiator (adapter). The The iSCSI Initiator adapter name is vmba33. (from Step 3). 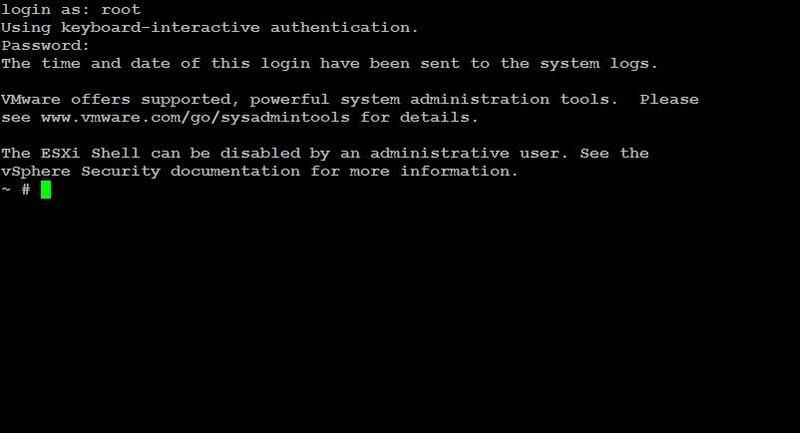 This step is often forgotten, and requires login at the console or remotely via SSH to the ESXi server. The VMware vSphere CLI can also be used with the esxcli.exe command to set the bindings if you prefer to use the vSphere CLI. 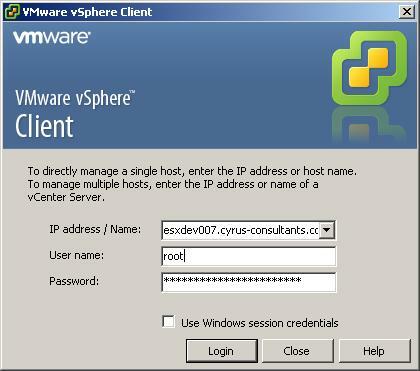 Using PuTTY a free telnet and SSH client or another SSH client Login and Connect to the VMware Hypervisor ESXi server, using IP address or hostname of the VMware Hypervisor ESXi server, using root username and password credentials. 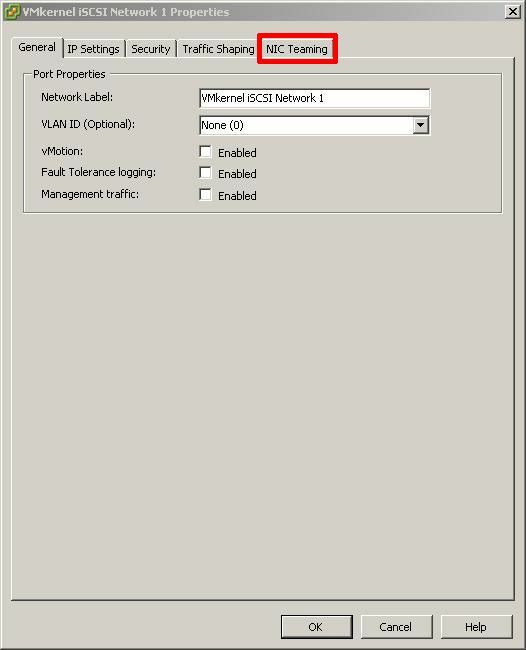 You have added an iSCSI Software Adapter and Created an iSCSI Multipath network for your iSCSI storage. Thank you for reading my article, please leave valuable feedback. If you liked my VMware article and would like to see more VMware Articles from me, please click the Yes button near the: Was this article helpful? at the Top of this article to the right of the Article title. Thank You.